The excellence of the Traction combined with the prestige of a 6-cylinder engine. The 15 SIX gained the nickname "Queen of the Road"! Launched in 1938, it reappeared post-war with a new engine as the 15 SIX D. The 15 SIX H in 1954 was the inauguration of the first mass production hydropneumatic suspension. The "Queen of the Road"
The 15 SIX appearred in 1938, 4 years after the failed attempt of the 22 with an 8 cylinder engine. This "Queen of the Road" gained the nickname thanks to a magical alliance: the excellence of the Traction 11, and the performance of a 6-cylinder engine. 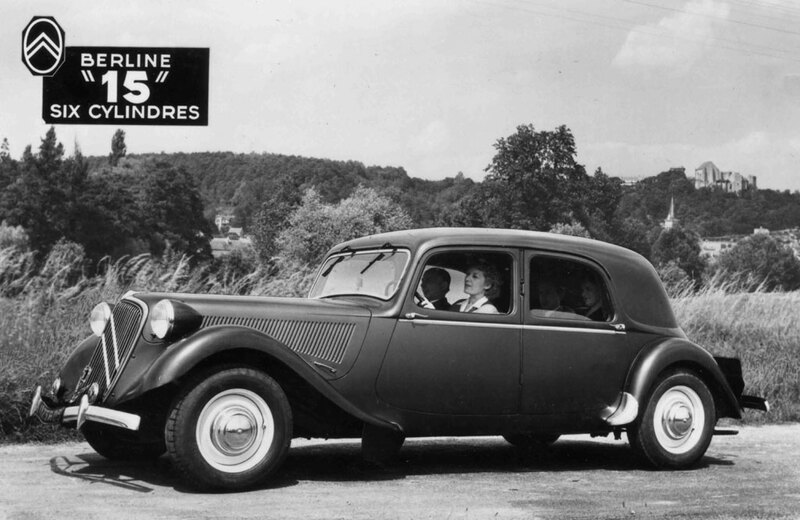 Production was interrupted in 1939, and restarted in 1947 with an engine rotating to the right, hence its name as 15 SIX 'D' as the French word for right is ‘droite’. 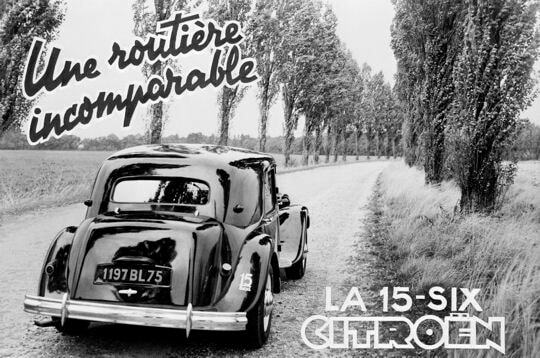 The notable features of the Citroën Traction 15 Six are: its grill with oblong crank hole, its wings without position lamps, then, in 1952, a rounded trunk and ribbed, straight bumpers. The 15 SIX H had hydropneumatic suspension, as standard, on the rear wheels. A first in 1954! Among the shapes produced up to 1955, there is one especially respected by enthusiasts: the Cabriolet, released in a single example.